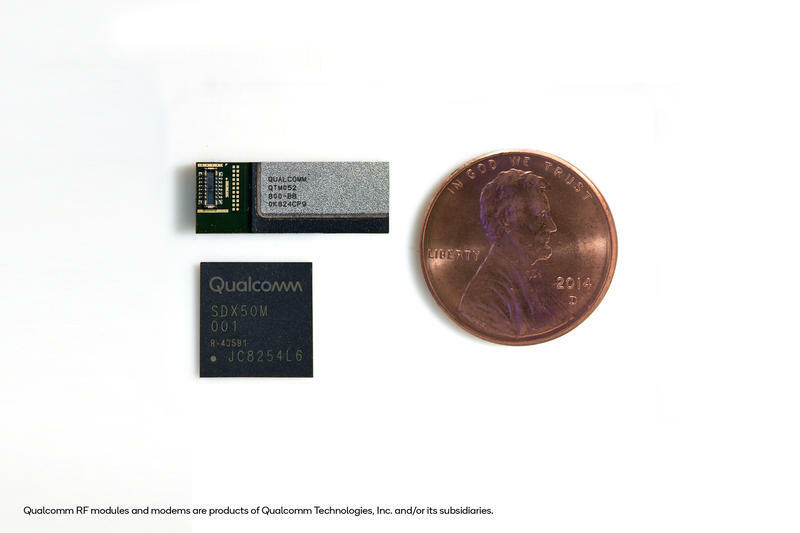 Qualcomm today announced its the world’s first fully-integrated 5G NR millimeter wave and sub-6 GHz RF module for smartphones. The new module is an industry first due to its compact size and the amount of technology crammed into its tiny footprint. A big challenge for the future of 5G is the technology necessary to fit all of the processors, modules, and antennas inside the smartphone. It impacts just about every aspect of the engineering of a smartphone from materials, form-factor, industrial design, thermals and regulatory requirements. Big breakthroughs had to happen to reduce the size of compatible modules and Qualcomm did just that. 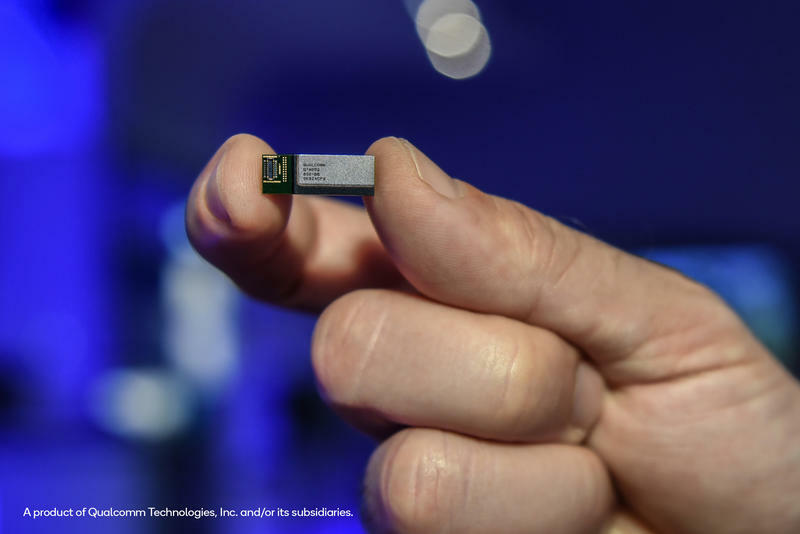 “Today’s announcement of the first commercial 5G NR mmWave antenna modules and sub-6 GHz RF modules for smartphones and other mobile devices represents a major milestone for the mobile industry,” said Qualcomm president Cristiano Amon of the announcement. There have been previous implementations but they were big and clunky and nothing like what a smartphone looks like right now. This new 5G NR module fits all of that into a tiny module that fits on the tip of your index finger, making it possible to fit up to four modules within a modern smartphone for better 5G connectivity. The new module will work right out of the gate with the Qualcomm Snapdragon X50 5G modem, as well as the Snapdragon 850 processor powering the smartphone, that will deliver modem-to-antenna capabilities across multiple spectrums. One of the main characteristics of this new millimeter wave technology Qualcomm and other networks are using is that it can be quite finicky. Things such as walls can easily block its signal, completely cutting off connectivity. Which is why phones that possess 5G connectivity will also work with 4G and even 2G technology to take over when the faster 5G network is unavailable. Smartphones are already coming with Qualcomm’s Snapdragon X50 5G modem this year. The first smartphones that will come with the new 5G NR mmWave module will be in early 2019. Coupled with the slow rollout of 5G networks, which networks are already doing, faster data speeds are on the way.